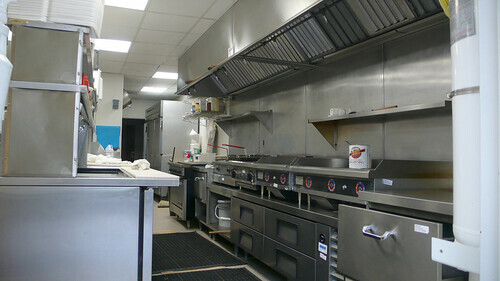 Our trained and professional staff can service any fire protection needs that your restaurant needs. Big or Small we service them all! If you have a fire extinguisher that needs replaced or services bring it into us and we will take care of everything for you hassle free. Does your building or business have a Fire Alarm System that needs servicing? Contact us for more details. Western Canada Fire Protection is Canada's number one fire protection service on the west coast. We service all fire safety equipment. We specialize in servicing industrial buildings. Our goal is to make sure when there is an emergency that everyone in the building is notified correctly by the Fire Safety equipment installed in the building and that everyone gets out SAFE! 127 - 1057 Langford Parkway, Victoria BC. Use the Langford Parkway round-about to enter the parking lot and continue straigt down the alley between Cloverdale and the Bowling Alley and you will find us on your left. Copyright © Western Canada Fire Protection.